The lower Loire is a sunny landscape rich in fruits, vegetables and good wines. The Anjou in the west of France was for a long time an important duchy, which dates back to the Normans and was known as Plantagenêt since the 12th century. In the High Middle Ages, the Dukes of Anjou were very powerful in Western Europe – from the Pyrenees to southern Scotland. 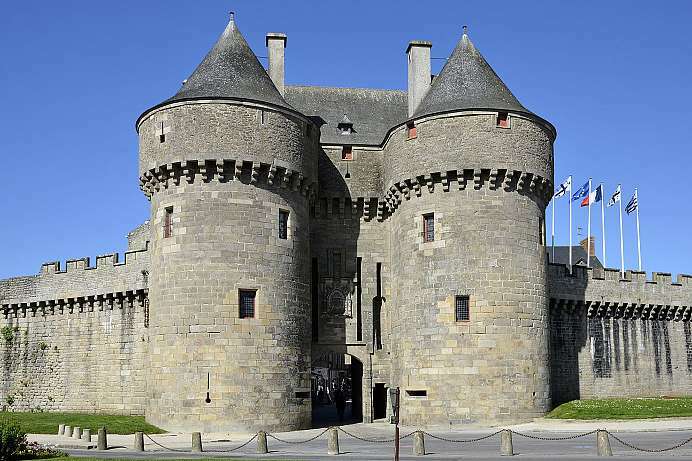 Their influence and wealth is reflected in their central castle in Angers. 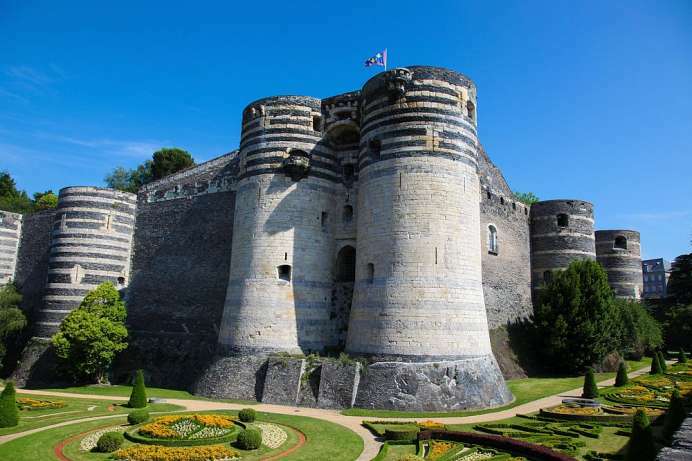 The capital of Anjou nestles in the Loire Valley. The old town with its medieval cathedral is part of the UNESCO World Heritage Site. Imposing is the castle from the 13th century, which looks like a fortress with its many towers. Inside, there is a special masterpiece of art: a 105-meter (!) Long and 4.5-meter-high tapestry made in the 14th century. It shows the end of the world according to the revelation of John and is a unique example of the weaving art of the Middle Ages. 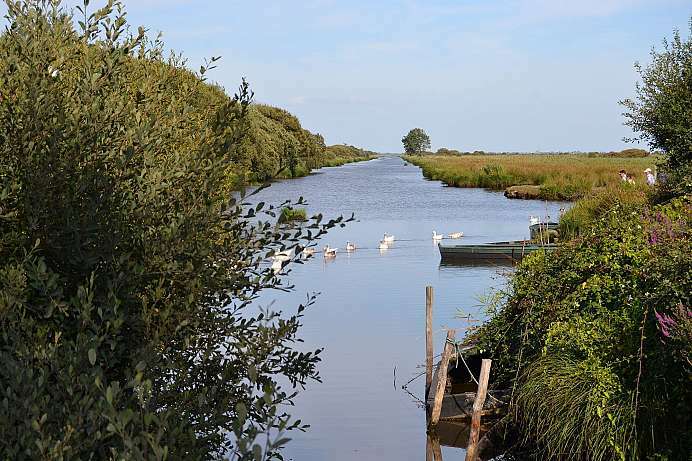 Brière is a vast territory of marshes at the mouth of the Loire estuary. The area was declared a national park in 1970 – the first national park in France. The wetlands are home to numerous species of endangered animals. The residents of Brière have retained many of their traditions, as evidenced by the thatched-roof cottages that dot the landscape. Whoever is prepared to climb the 135 steps to the top of the church tower in St. Lyphard will be rewarded with a spectacular, panoramic view of the moors. The Breton call it Gwenrann, but hte town with 15,000 inhabitants is no longer part of Brittany. It belongs to the Pays de la Loire. The medieval old town lies on a peninsula in the Atlantic Ocean. It is enclosed by a well preserved 1,500 meter long city wall with four gates. Guérande owes its rise to the salt fields, which still make up about a quarter of the municipal area. Fleur de Sel is the name given to the precious sea salt, which on hot days accumulates as a thin layer on the surface of the water and is skimmed off. History and technology of salt extraction are presented in the Musée des Marais Salants in Batz-sur-Mer. 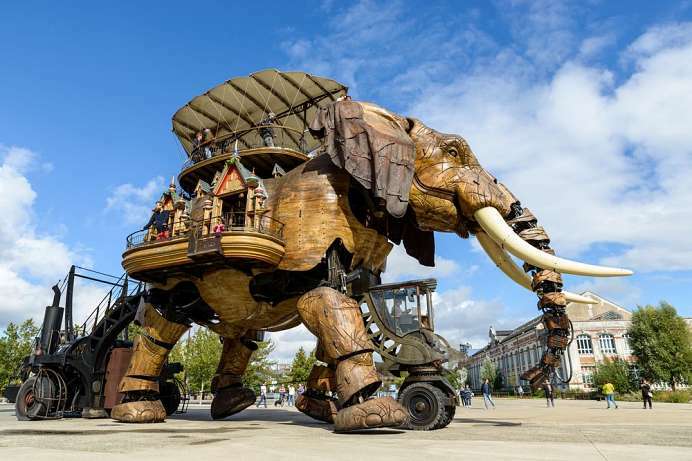 The new art project on the former docks displayw large mechanical objects from the imaginary worlds of Jules Verne, Leonardo da Vinci and from the industrial history of Nantes. At a height of twelve meters, Le Grand Eléphant is the largest object. The 40-ton sculpture can move and accommodates up to 35 people. All objects can be seen in the warehouse like in a museum. The 13-meter-long and 37-ton mechanical spider La Princesse was first presented in Liverpool, England. During the 2008 European Capital of Culture celebrations it walked through the city from 3 to 7 September. Made of steel and poplar wood, the machine was controlled by 12 people. 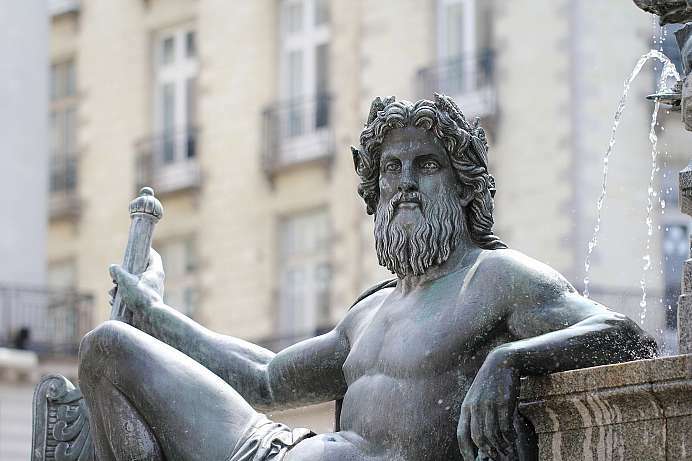 For centuries the 300,000-inhabitant city on the Loire was the capital of Brittany. This is demonstrated by outstanding buildings such as the Castle and the Cathedral. The large university gives the venerable ducal town a youthful flair, especially on the Place du Bouffay in the old town, where every day except Mondays a vegetable market takes place. Also one of the most famous brasseries in all of France can be found in Nantes: La Cigale, dating back to 1895. There one can taste wonderful food surrounded by the splendor of the Belle Epoque. 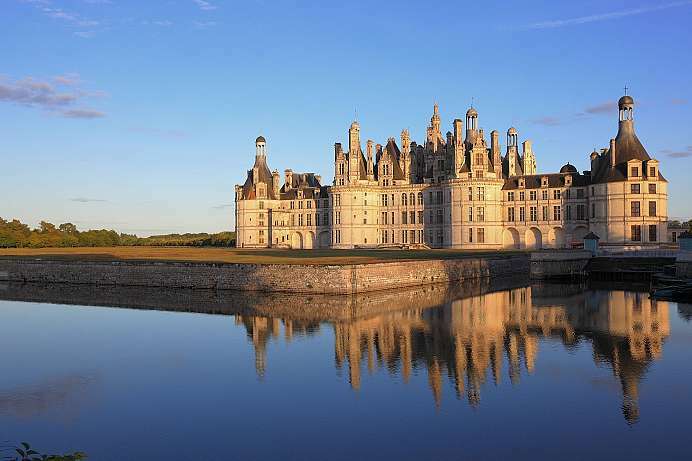 Also recommended is a two-hour boat trip on the Erdre, a tributary of the Loire.